WASHINGTON, April 13 (Reuters) - The U.S. Department of Justice's inspector general disclosed a report on Friday that concluded that former FBI Deputy Director Andrew McCabe had repeatedly misled investigators about his role in giving information to a reporter. The report, delivered to lawmakers on Friday, details an investigation that U.S. Attorney General Jeff Sessions cited when he fired McCabe last month, hours before McCabe was set to retire and receive his full pension. President Donald Trump had accused McCabe of bias, and the president's critics said McCabe was being fired as part of a Republican effort to discredit a federal probe into alleged ties between Russia and the Trump presidential campaign. 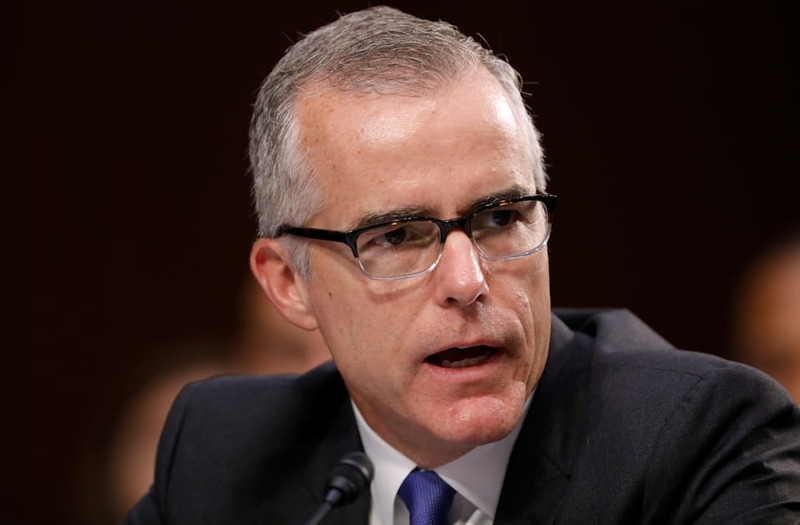 The report, authored by inspector general Michael Horowitz, says McCabe "lacked candor" in conversations with then FBI Director James Comey and other officials about his role in providing information to a Wall Street Journal reporter about a probe into Hillary Clinton. McCabe, who has argued he was being singled out because he was a witness into whether Trump tried to obstruct the federal probe, said in a statement on Friday he was authorized to share that information with reporters and had not intentionally misled anyone. "McCabe had no motive to lie or mislead about media contacts he had the authority to direct," McCabe's lawyer, Michael Bromwich, said in an emailed statement.